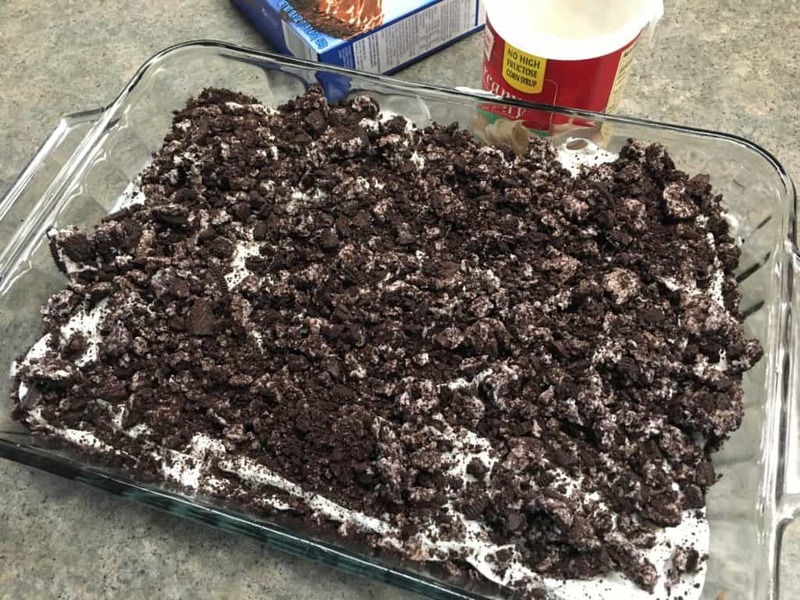 I love Oreos, brownies, and things that are easy to make. 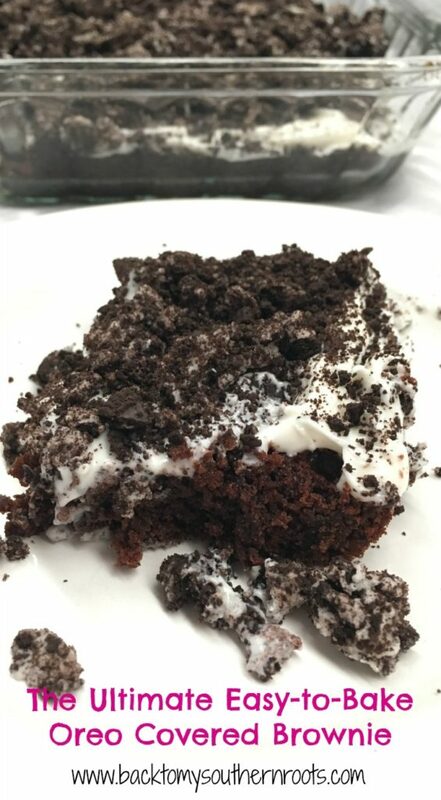 So, the combination of the three makes this the ultimate easy-to-bake Oreo covered brownie. Eating an amazingly delicious treat that is easy to make is a beautiful thing, don’t you think? Everywhere you look on Pinterest, you’ll notice that Oreos are gaining in popularity? They are nestled into cakes, chopped up and mixed into milkshakes, dunked and fried, and crumbled on the top of just about any kind of treat you can think of. They’ve been around forever. Trust me, an Oreo all on it’s own is a mouth-watering dessert, but when you add it to another dessert, you’re taste buds will always thank you. I’m always on the lookout for easy recipes. I like to bake, but I don’t want to spend too much time in the kitchen. If you have an idea, you can always add Oreos to make it better. 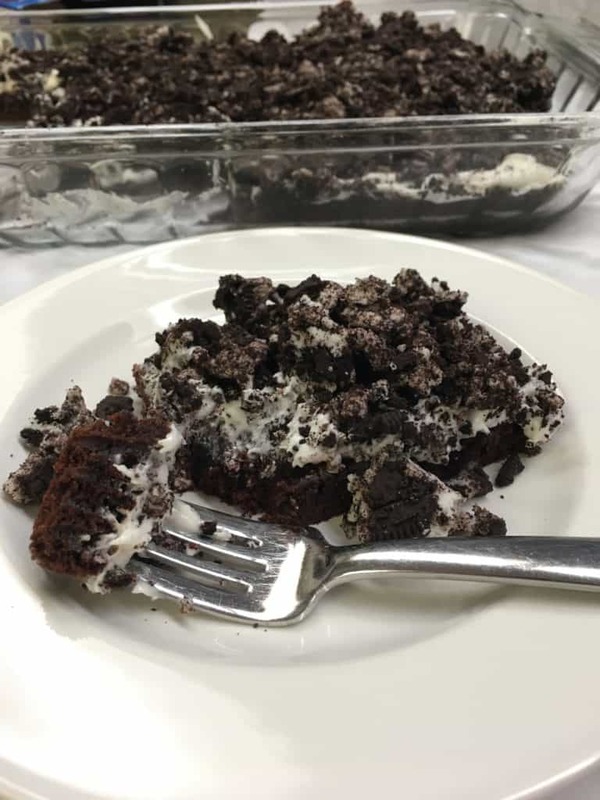 The most time you will have to spend on this dessert is going to the store and buying the brownie mix, Oreos, and premade frosting. Let me show you the steps and I guarantee this is going to be a go-to dessert for your next office party, church potluck, or baby shower. Step 1: Whip up the store-bought brownie mix and pour into a greased 9″ x 13″ pan (or 9″ x 9″ if you want thicker brownies). Looking for another delicious treat to take to a party? Chess squares are a hit every time. Step 2: Bake for the specified time. 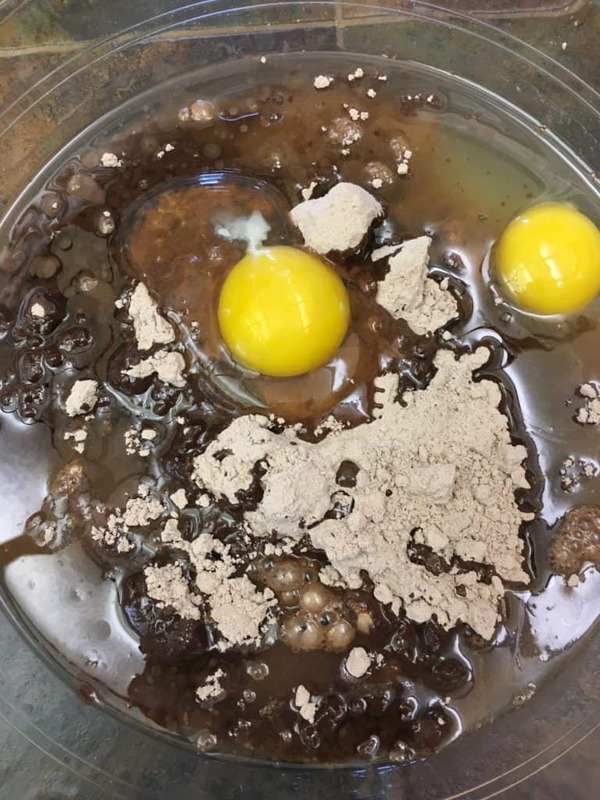 Once cooked, let the brownies cool. Step 3: Spread the frosting on top. I just bought a regular tub of premade frosting from the grocery store. I bought creamy vanilla frosting, but you can really buy any flavor that you like. That’s part of what makes this dessert so fun. Step 4: Crumble the Oreos in a Ziplock bag and sprinkle on top of the frosting. That’s it! You can pretty much buy any type of brownie mix that you like, or add chocolate chips to make it more chocolatey. The sky is the limit with this dessert, so have fun with it. Be sure to let me know how yours turned out, and if you added something different! 18 oz. brownie mix (store-bought) Read the box to make sure you have the correct ingredients to add to the mix. 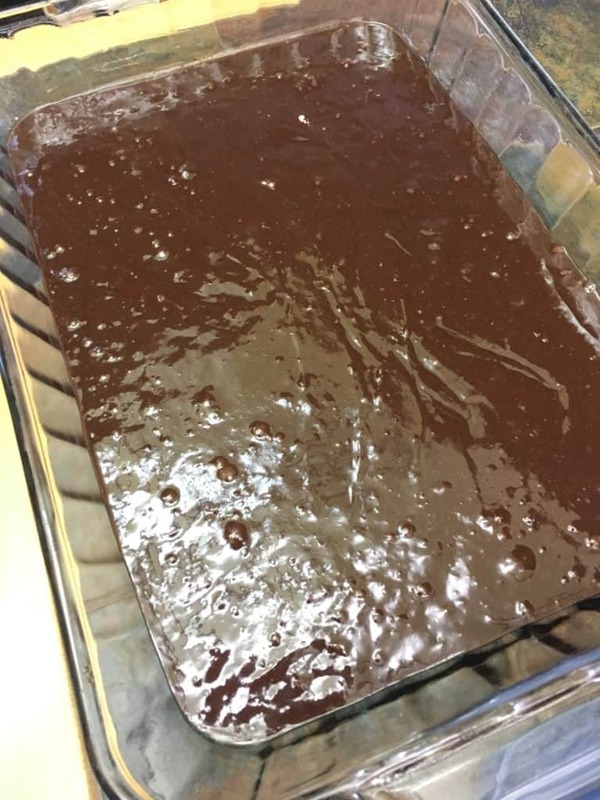 Make the brownie mix according to the directions on the box and pour into a 9" x 13" greased baking pan. (Use a 9" x 9" pan if you'd like thicker brownies). Bake the brownies and allow them to cool. 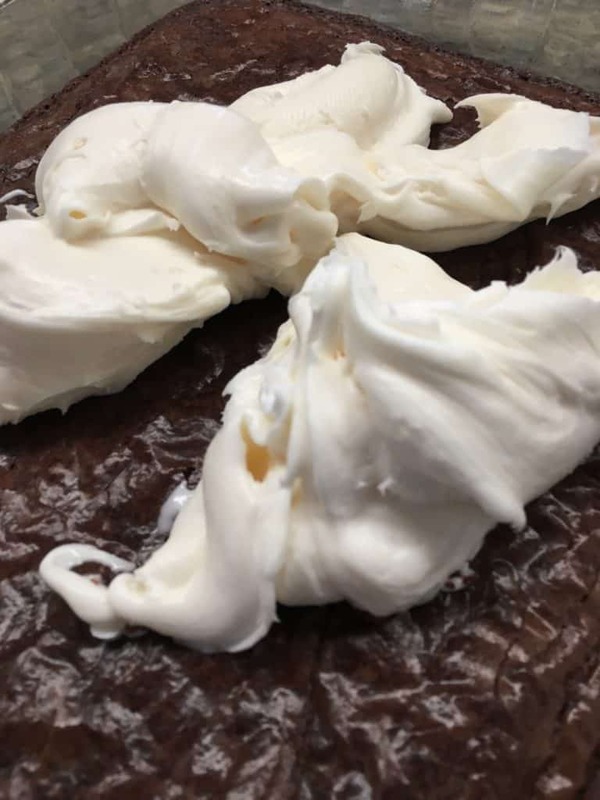 Spread the entire container of frosting over the brownies. 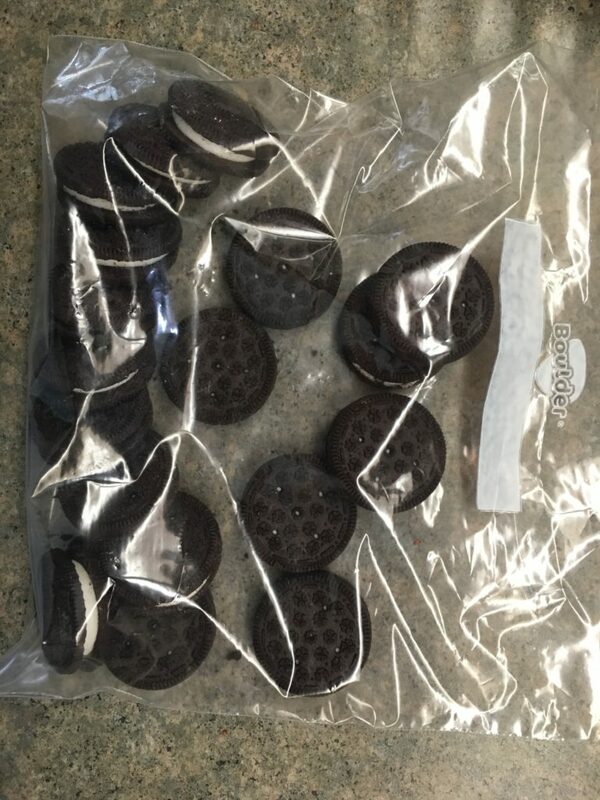 Crush the Oreos in a Ziplock bag and spread over the frosting.